Full name, date of birth: Askarov Bakhtiyar Sharapidenovich, April 12, 1983 year of birth. Work experience: the general experience is 13 years, the scientific and pedagogical experience is 13 years. What university, for what specialty and when he graduated: Karaganda State Technical University, “Automobiles and automobile industry” in 2005. Academic degree, academic title, academic degree: Master of Technical Sciences in the specialty “Transport, transport equipment and technology”, 2012, KSTU. 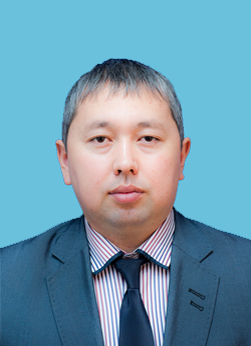 2015 to the present – Senior Lecturer of the Department “Transport Engineering and Logistics Systems”. Research and development of devices for isolating harmful exhaust emissions of internal combustion engines; study in the field of reducing the impact of harmful exhaust emissions from the engine of diesel locomotives. Published 8 scientific papers, 25 thesis report, 1 article – RISC, 5 innovative patents, 3 SIS; released 6 tutorials. Power plants of transport equipment, Resource saving when carrying out TO and TR cars. 2017 – overseas internship at the St. Petersburg State University of Railways of the Emperor Alexander I, St. Petersburg, Russia.